This month I’ve tried to go without buying anything unnecessary as one of my Day Zero Project challenges. Like many of the 30 day challenges I’m starting to become known for in my social circles this was to break personal norms, make me look at norms in my life differently and perhaps improve habits. What is necessary? How much do I truly need the things I buy? Does buying certain things really make me happier? In practice this meant I could not buy alcohol, sweets, clothes, takeaways, coffee or even books. I never thought I was particularly frivolous with money and I liked to consider myself quite anti-consumerism. I don’t really buy designer clothes or high end sport equipment despite constantly being told I should buy proper running gear. Okay my trainers have holes in and I wear baggy free t-shirts and leggings to the gym but that’s not the point! So the difficulty I had with this challenge really opened my eyes to how much I spend. What was even more surprising to me were the reasons why I bought things. To my surprise probably the biggest causes of my repeated failure on this task was actually social pressure and social norms. It’s very difficult to go to a pub or a cafe and not buy something without people offering you drinks (which is fine for this task but a rather selfish long term solution) or asking questions. Even if no one said anything I felt like they were thinking it. What is she doing? How rude to just sit there without a drink? Can she not afford one? Many things I wanted to buy because other people had them, like the latest album, or because it was part of a social interaction, like coffee. I’ve also become acutely aware of the gift convention. I let myself off on this being included in the challenge because I think it is a good thing to think about others. I do wonder if I should apply some Effective Altruism principles to my gift giving though and not buy things for others because it gives me a warm glow to tick that box (or I feel socially obligated to tick off my ‘social obligation’ list) but to really try and think of something they would want. Mostly I try and do that but sometimes I leave something last minute and pay a small fortune for something generic but nice from Not On The High Street to be delivered ASAP. Probably the second biggest culprit for my unnecessary spending desires is boredom. Even today I was coming back from volunteering and walking near town with some time to spare. I could just wander down George Street, there must be something I need? If there’s anything that urgent that I need I can make a special trip. No good ever came of “just browsing”, especially after having restricted myself from shopping for the best parts of two and a half months (I kept failing at a solid month and having to start again adding to a longer general period of mostly not spending). 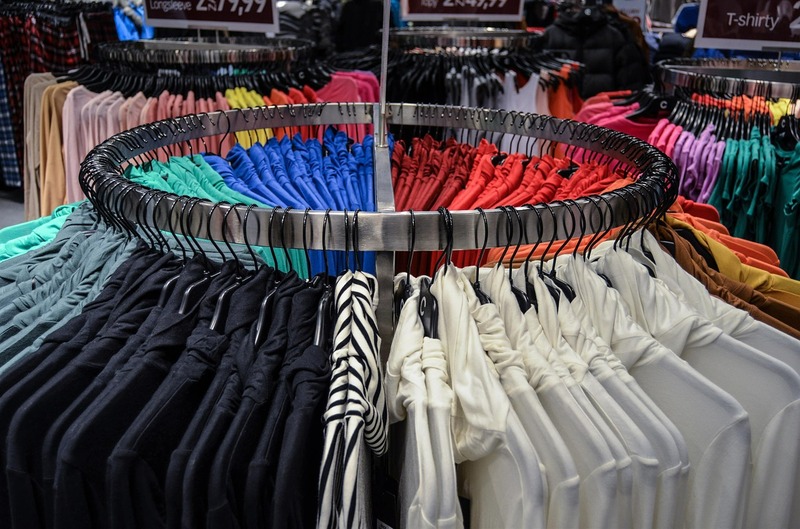 Shopping has become a leisure activity. We all talk of indulging in retail therapy. We reward ourselves for good behaviour with a new gadget, we cheer ourselves up with a new outfit. For some people it even becomes an addiction with an official name; oniomania. According to The Guardian this “affects an estimated 8-16% of Britain’s adults; that’s 8 million people”. Does shopping provide a lasting solution though? A lasting happiness? One of my biggest problems is probably clothes. I often think that dress will look so perfect on me or I just need a pair of shoes in red then I’ve got the complete outfit and I won’t need to buy any more and yet somehow there’s always something new. My clothes don’t even really all fit in my wardrobe now even though I regularly give some away to charity. I also remember justifying buying an expensive smart phone because it did everything I needed and more and so would last me years and yet I soon bought an upgraded version for the very same reason. It’s the classic hedonic treadmill. You buy something in the hope that it will make you happy, and it does for a short while, before the thrill wears off and you need to buy something else. That is what was so interesting about this challenge, it made me more aware of this cycle. I remember a few instances of frustration where I really wanted to buy something but couldn’t because it was not a necessity. Can I even remember what those things were now? Nope. It shows how fleeting those intense desires often are. This is one great thing I’ve found about donating to effective charities. Instead of wasting my money on things that give me a short term buzz but ultimately don’t enrich my life I can make a real difference with my spare cash giving people things they truly. So far that satisfaction is lasting much longer. Deciding on how to limit this challenge also taught me there are more rewarding ways to treat myself than just buying things. I was quite lenient on myself whilst not buying physical objects for myself still allowing trips out with friends and family. Maybe that’s cheating but I’m really pleased I made this distinction. The purpose of this task was to look at my spending not make me a hermit. I think of all the treats for myself making new memories and spending time with the people I love is the most valuable. I recently attended an Action for Happiness coffee morning as it just came up on my Meetups account and I was curious about the concept. One theme I really liked from the meeting was the idea that as social creatures we get joy from telling stories. If we have an interesting holiday or day trip it creates both a shared experience with a loved one and a story we can tell and relive, p the joy. The same is not so true of something we bought. S0 where did my money go? Being the geek that I am I exported my personal budgeting app figures for last month into a spreadsheet and came out with this. I actually spent, as a percentage, very little on social activities. This surprises me as I felt like I went out a lot during the challenge. I think I must have saved a lot of money through simple economies like drinking more tap water and bringing my own lunch whilst out so that I could still see my friends and keep the spirit of the challenge. The figure jumping out at me is that my savings make up 50% of my spending. For a while before I took the Giving What We Can pledge to donate 10% of my income to effective charities, (the above is 10% of my spending, but 5% of my income whilst I was still trying giving) felt like it would be challenging yet, considering I have quite a decent income, I wasn’t sure why. Seeing this answered my question. Half my income is already being squirrelled away. I don’t need money in an ISA or even to buy a house (the reason the money is in the ISA) anywhere near as much as children need treatment for Schistosomiasis, a disease that fills their stomachs with worms and keeps them from school. Nor do I need it more than mothers need malaria nets to protect their children. 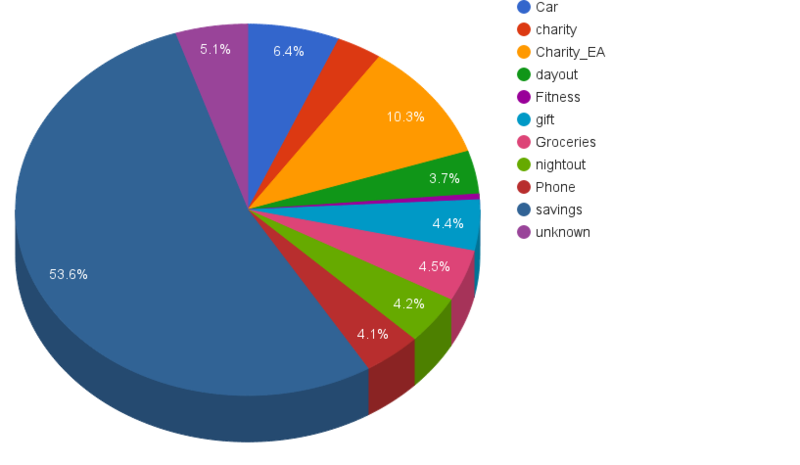 It’ll be interesting to see how the May pie chart shifts now that I’m no longer not buying anything unnecessary things and have taken the full 10% charity pledge. I’ll post it later for you to see. 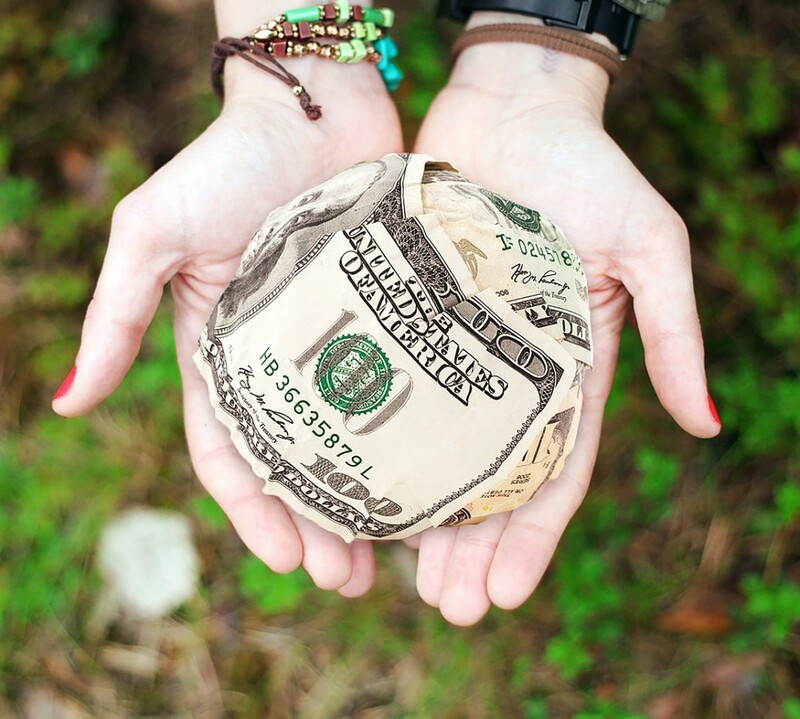 Have you tried monitoring your spending to see where your money goes? Perhaps this shows I have the ability to do even more but for now I’m pleased I’ve taken this step. I’ve learnt a lot about what I really need, or don’t need, to be happy and have doubled my positive impact in the world. That’s a pretty positive month for one without coffee or chocolate!